Have you ever wondered if you have allergies or sensitivities to certain foods? Have you considered doing an elimination diet to weed out the offenders? 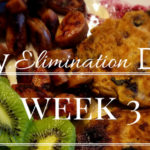 While it may not be the best or easiest three weeks you have ever experienced, doing an elimination diet could be a big step in discovering a relatively painless way to improve your daily life and your overall health. An elimination diet is a diet where you completely cut out a food that could be a potential problem. There are three potential ways to conduct it: 1) you can cut out every and all possible allergens, and then slowly add them back in to see which ones are the culprit, or 2) you can eliminate just one food at a time for a few weeks, see how you do, and then move on to the next food item/group, or 3) you can do what I did, which is cutting out for 3 weeks the specific foods that showed up to be a potential problem on a blood test, and then slowly add them back into your diet to carefully record your body’s reaction. What really helped me make the plunge was talking to my functional doctor about it and making a plan. 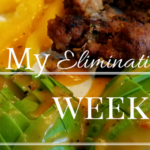 I’m primarily writing about my experience because while there is a generous amount of information and books out there regarding elimination diets, I couldn’t find too much about people’s personal stories. 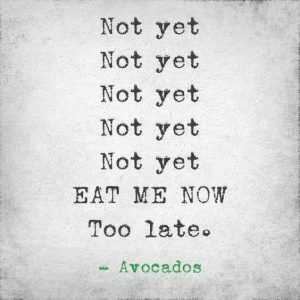 (Now if you want to do the Whole30, you’re set!) 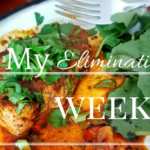 So while I am not expert, and this elimination diet is specifically designed for me, I hope that it will give you an idea of what it entails and why it may be beneficial for you to consider. In October, I visited a new functional doctor to address my thyroid imbalance. 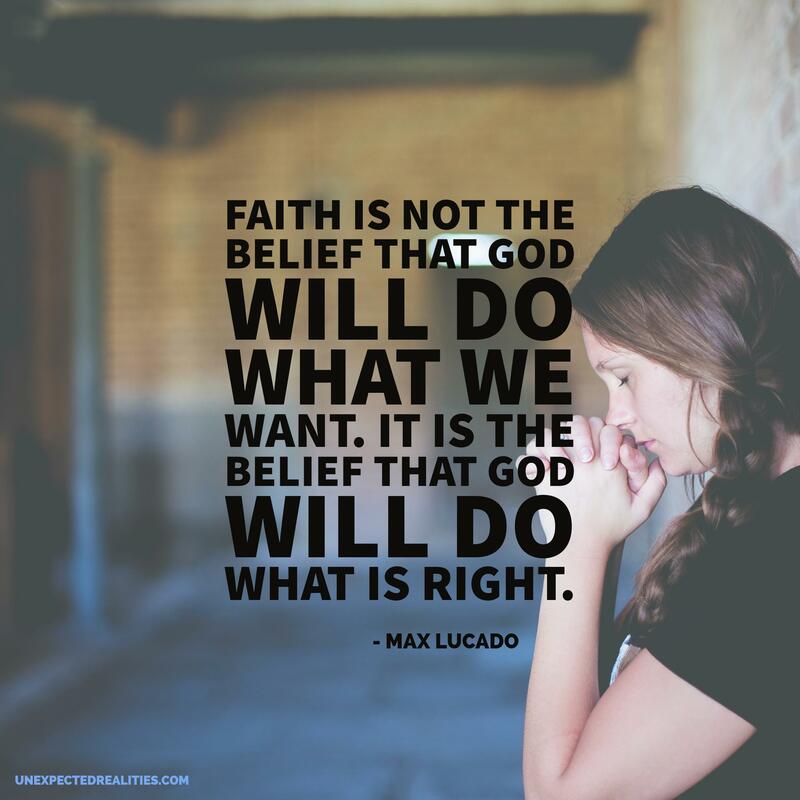 The great thing about functional doctors is that they want to get to the source of the problem to treat it, and not just try to treat what is seen on the surface. So when I got my blood work done, she also had me tested for food sensitivities. During that same time I had already begun to suspect that milk and/or dairy was a problem for me and had begun to cut it out. So when I went back in November for the results, I was not surprised to see that milk was the highest sensitivity I had. Wheat being on there was also not too shocking. But I was surprised to find that eggs (yolks as well as egg white) and beef were also on the list. My doc suggested doing an elimination diet for 3 weeks to clear my body of these foods and then add them back in to see how I do. So after a few months of procrastinating, I finally decided to do it. I am taking it a step further just to make sure I cover everything, so I am eliminating all forms of dairy and gluten. Sugar: For my personal preference I have also decided to eat only unrefined sugars/no added sugars, so that means I am still including small portions of honey, maple syrup, and coconut sugar. Caffeine and alcohol: Coffee and wine have become weekend-only treats, just to see how I do. Eating better, not just cutting out: I’m also trying to eat and incorporate more veggies and greens. Exercise: I am trying to attend a yoga class once a week (suggested by my naturopath) and a few long walks a week. I’d like to do more than this, but this is my minimal goal for each week. Water and herbal tea: I already only drink water, so this wasn’t hard, but I am also adding in a cup of herbal too everyday. Omega 3’s: I am trying to eat at least one meal a week with fish, specifically salmon or mahi mahi. Improved health: Obvious, I know, but I’m hoping that after I have cleared my body of these types of food, I will start to notice differences (more energy, improved mood, less headaches, less inflammation, etc). Clear skin: My skin was what finally made me start looking into the possibility of food sensitivities. As I noted earlier I had already begun to suspect that dairy was a problem for me. This was because I had been dealing with pretty severe, painful cystic acne on my chin, neck, and ears for close to two years. I had gone to three different dermatologists, all of who told me that this was just adult acne and there was nothing I could do about it unless I wanted to go on an intense medication regimen, which I did not want to do. 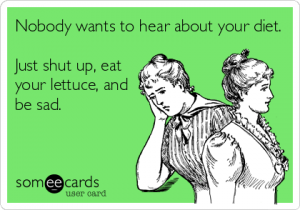 I tried everything…literally everything…but it wasn’t until last summer when I started researching the connection between dairy and cystic acne did I really consider that it had anything to do with my diet. After a few weeks of cutting out half and half in my coffee, stopped eating cereal, etc I started to see a huge difference in my skin. 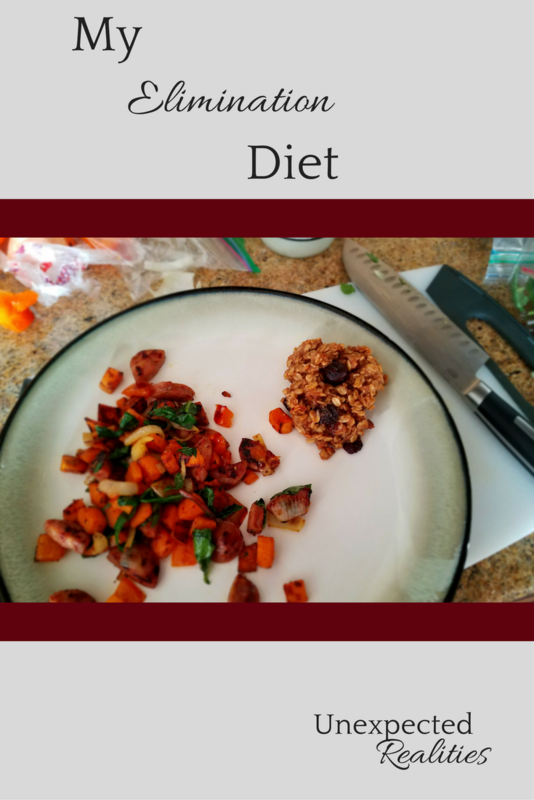 In January I got really serious about cutting out dairy, and saw an even bigger improvement. I still get the occasional breakout however, so I’m hoping after this I will be able to tell how much and what kinds of dairy my skin can tolerate. 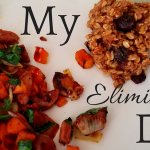 Unexplained infertility: Another reason I wanted to take on the elimination diet was because I wanted to remove the possibility that these foods were affecting my immune system, and in turn effecting my ability to conceive. While my doctor has said that it’s unlikely to make a big impact, it can’t hurt to rule it out since I want to take it on for my own health anyway. 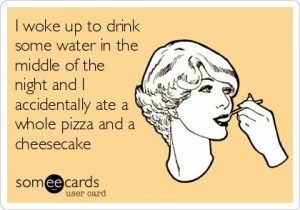 That’s why I plan to be serious about eliminating these foods as much as possible even after the end of the three weeks. One reason why I think I put off doing the elimination diet was because of having to remove eggs. I love eggs! And because I had already started to remove gluten and milk from my diet, I had turned to eggs as my go-to- quick breakfast choice instead of cereal. Not to mention, I have an affinity for baking, and let me tell you, it is NOT as fun to bake without eggs. There just aren’t many alternatives like there is for milk, or even gluten-free flour. 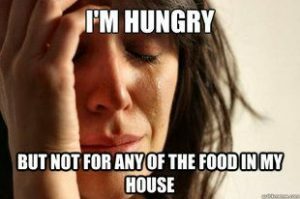 And steak. We love grilling up a good steak, or making steak au poivre on the stove…stop it. You’re making me hungry. Oh, and finally….CHEESE! 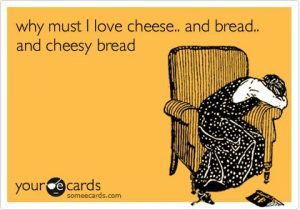 Cheese is the reason for life, I am quite positive. back into my diet (milk, half and half, heavy cream, etc), since I’ve already seen the positive effects on my skin from cutting it out. Seeing how removing milk made a difference with my skin made me wonder how else these foods might be affecting me physically. I do however plan to add back in small portions of butter, cheese, and yogurt to see how I do with them, as well as small portions of beef, eggs, and gluten. Stay tuned for posts on my thoughts, meal plans, and recipes for Weeks 1, 2, and 3 and the re-introduction phase.